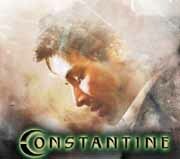 I went with the lead team from our church this week to see the movie Constantine. If you’re not familiar with the movie, it’s about a guy who has been able his whole life to see angels and demons. Throughout his life he sends many of these demons and “half breeds” back to hell in an attempt to gain salvation from God. I’ve always thought that Keanu Reeves is perhaps one of the worst actors ever, but I was really intrigued to see how our secular culture and the world of Hollywood sees the spiritual realm and spiritual warfare. All in all, the movie itself wasn’t that great and not nearly as scary as I expected it to be either. Of course the theology of the movie was way off. But for those of us who as Christians recognize the forces that are at work in this world, it also rang of some heavy truth. If there was anything redeeming about this movie, perhaps it is that Christians as well as non Christians will become even more aware of the supernatural taking place around us all the time. Like I said, not the greatest film, but I would still recomend it just for the conversation piece alone. Has anyone else seen it? What did you think?